This fine bone china mug from KitchenCraft has a capacity of 300ml and features a fluted shape design. 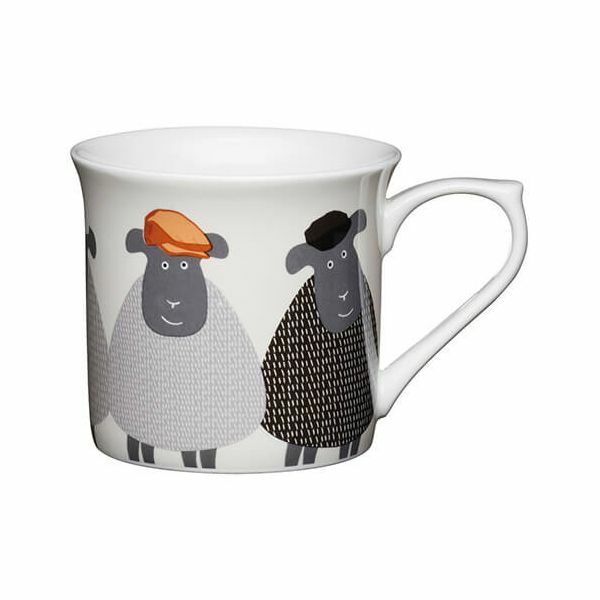 The mug features sheep in a variety of hats on the outside and has a large handle for a firm and comfortable grip. The fluted mug is suitable for warming contents in the microwave and is dishwasher safe for easy and convenient cleaning. The KitchenCraft sheep mug is perfect for giving as a gift or for home as part of a matching collection.